I Love You Phillip Morris is a 2009 black comedy drama film based on the 1980s and ’90s real-life story of con artist, impostor, and multiple prison escapee Steven Jay Russell, as played by Jim Carrey. 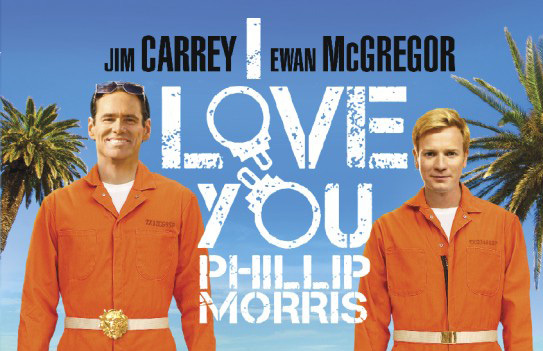 While incarcerated, Russell falls in love with his fellow inmate, Phillip Morris (Ewan McGregor). After Morris is released from prison, Russell escapes from prison four times to be reunited with Morris. The film was adapted from I Love You Phillip Morris: A True Story of Life, Love, and Prison Breaks by Steve McVicker. The film is the directorial debut of Glenn Ficarra and John Requa. It grossed a little over $20 million worldwide after its limited theatrical release.